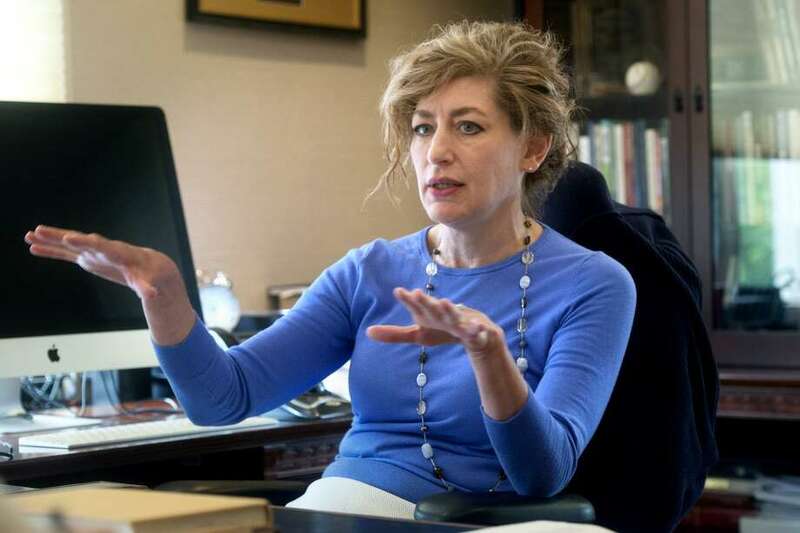 University of Connecticut President Susan Herbst speaks in her office during an interview in Storrs on Aug. 20, 2018. Gov. Ned Lamont met over the weekend with two finalists for president of the University of Connecticut, a sign that the six-month search for a successor to Susan Herbst may be nearing an end.